Here is some useful information on using our website and platforms. Medcast Communities are closed communities for medical professionals. To be a member you have to opt-in to the community and verify your identify through our secure AHPRA verification services. Inbox – you can access notifications in the Medcast Inbox. The inbox can be accessed by clicking on the envelope in the top right hand corner of the screen. Home stream – you will see notifications in your Activity Stream on the Home Page. Email – you will receive each notification as an individual email. Each email will be sent to the email account you have nominated (shown on your user profile). Email digest – you will receive a daily email with all notifications from the last 24 hours. This email will be sent to the email account you have nominated (shown on your user profile). Each type of notification is listed in the left hand column and you will see the notification method/s available for each activity in the 'Notification Method' column. To remove notification methods click the x beside the method type. To add new notification methods click in the white box beside the notification type and a list of notification methods will appear. Select your preferred method. Click the Default Checkbox to revert back to the original notification methods for an activity. Your essential guide to MEDCAST'S take on the intersection of medical education and eLearning. Your essential guide to THE BLACK DOG INSTITUTES'S resource for e-Mental Health in Practice. What will I need to participate in the live webinars? You will need a reliable internet connection, a computer or a tablet and a headset. Your internet connection should preferably be wired (using an ethernet cable). The quality of the video conferencing is of great importance to ensure that the technical issues do not get in the way of the interview. What software do you use to host the webinars? How do I get set up? We are using Google Hangouts as our webinar platform as it provides a simple browser-based experience. Google Hangouts works best when accessing it using Google Chrome browser. What do I do if I need technical help before or during the webinars? Medcast will provide technical support to the course participants, that includes setup guides and a technical host for each of the webinars. If you have any technical concerns you can contact us for assistance. Plan your webinar evenings ahead of time to ensure that you have a reliable connection, the right equipment, and no distractions. When will the webinars be held and how long do they go for? The live webinars are held on weeknights (Sun - Thurs) starting from 7pm or 7.30pm. We allocate up to two (2) hours for each session, however the timing will depend on the participants’ performance and any discussions that take place. Will I get reminders for the webinars? Medcast will send reminders for the webinars and links to access the webinar room prior to each live event. However we suggest you familiarise yourself with the webinar schedule for the group you have chosen and add these dates to your calendar. How many webinars will I be able to attend? Participants will attend a total of 4 live webinars. You will be able to select a webinar group once you have enrolled in the course. Webinar group selection can be done in the webinars topic on the online course page. You can get in touch with us to check whether there are places still available in your preferred group before you enrol (info@medcast.com.au or 1300 652 046). How many participants in each webinar group? The webinar groups will have a maximum of 6 participants. Each group is facilitated by an experienced Medical Educator. What if I am unable to attend one of my scheduled webinars? If you are unable to attend a scheduled webinar we will organise a make up session for you. However, you need to notify us in advance that you are unable to attend. How many practice cases are there and what type are they? There will be at least 4 OSCE cases attempted during each webinar, so a total of 16 cases over the webinar series. We have a range of case types including short cases, long cases, VIVAs and critical appraisal. How are the OSCE webinars structured? The first webinar for each group includes a general discussion about the OSCE exams and an open forum for questions. The remainder of this webinar and the subsequent sessions involve practicing OSCE cases. Participants take it in turns to practice cases with the Medical Educator acting as the patient. The attempts are timed (including reading time - 3 mins, and the actual case - 8 mins). The Medical Educators then provide a structured feedback on the participants’ performance. What other resources do I get as part of this course? Access to SupportGPT is linked to your GP Synergy account. You will need to first click on the SupportGPT link located in GPRIME2. If you have any technical issues while using the SupportGPT modules please email support@medcast.com.au. Click here to learn more about SupportGPT or. Can I logon direct to SupportGPT via Medcast? 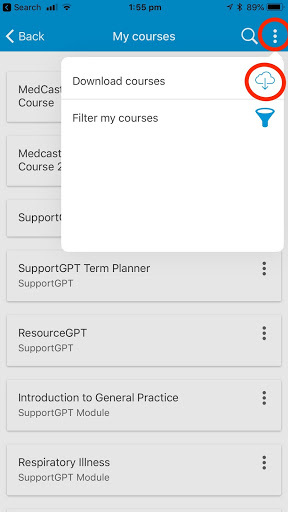 Yes, however you must first logon to SupportGPT via GP Synergy (GPrime2) at least once so that your account can be provisioned on Medcast. Would you like SupportGPT on your smartphone or tablet? Please see this page for instructions on downloading the app. Just don't forget that you must first logon to SupportGPT via the GPRIME2 at least once before trying to use the app! Are you a registrar or supervisor outside NSW? SupportGPT is available to purchase, however if if you're interested in practice or enterprise plans for your workplace please let us know. Click on My Learning at top of page. Click on My Registrars at top of page. 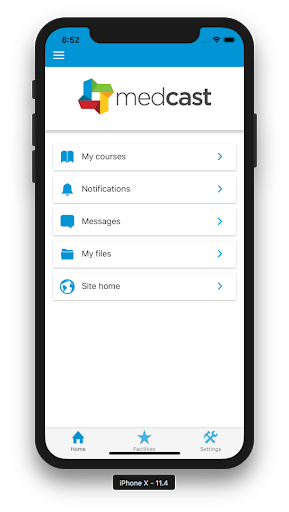 One of the most convenient ways to access your online learning is via the Medcast mobile app on your smartphone or tablet. Open your browser on your smartphone or tablet and click on the Apple App Store or Google Play Stores buttons below. After downloading and installing on your device you will see a shortcut on your device. 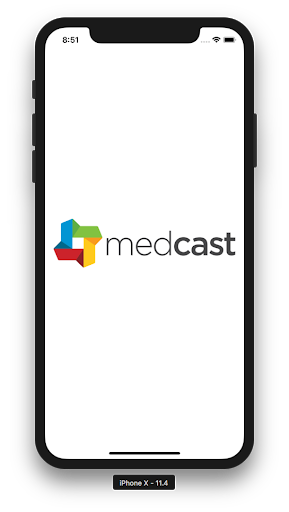 Click on the Medcast app and then login using your Medcast account. If you know your login, login using your email address and password. If you don't know your logon, click on the password reset link. Click on My Courses to view courses you have enrolled in. Click on a course to view the content. If you are likely to be in an area with limited or slow internet access we recommend downloading course content prior to departure. Note some content like external website links to guidelines still require an internet connection. Click on My Courses and then click on the Vertical Ellipsis and then click Download Courses. Once back online just open the Medcast app and your activity will be synchronised to the server. 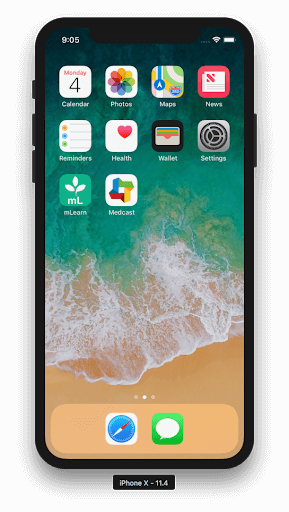 Login using your Medcast email address and password. If you DO NOT know your password..
Click here to reset your password. You will then receive an email with your password. If you have NO login or have any issues logging in please let us know so we can help! If you can login but can’t see your courses, please contact Medcast.